Expectation can be one hell of a burden. Mostly, when you are highly anticipating a film and go in confident it's going to be your cup of tea, it can be damaging to discover that maybe it isn't. Expectation also comes attached to characters and story in that we think we know what to expect from them, and if they don't go where we expect them to it can be either brilliant or frustrating. Free Fire, directed by Ben Wheatley, sets up an expectation very early on. 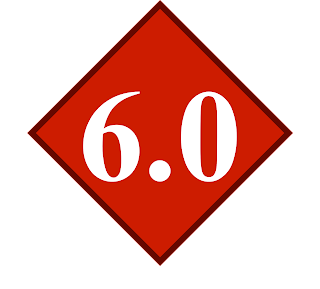 Its simplistic plot and character types create a perfect sense of atmosphere, and once the story begins to move, we as viewers wait for the big twist. Small and simple stories set in a mostly confined location need a twist in order to keep things interesting. Free Fire sets us up to expect that this twist is coming, only to then never deliver it. In other words, you wait about 80 minutes for your interest to be fully piqued, and it just doesn't really happen. The film opens as a gang - including members Chris (Cillian Murphy) and Frank (Michael Smiley) - head to an abandoned warehouse to engage in an arms deal with another gang led by Vernon (Sharlto Copley), Ord (Armie Hammer) and Harry (Jack Reynor), the whole thing orchestrated and organised by Justine (Brie Larson, the film's only female cast member). After an awkward and violent encounter between two members of the rival gangs, things escalate into a full blown shootout inside the warehouse, with everyone fighting for their life and unsure of who is on their side. Free Fire plays out in real time, and is confined to this warehouse for the entirety of its brief 90 minute run time. As you'd expect from a Ben Wheatley film, the whole thing is funny, violent and mad. The issue is that it's never as funny as it could be, never as violent as it should be, and never as mad as it wants to be. It's mostly very entertaining in its first half, and certainly never dull, but eventually a moment will come where you find yourself waiting for the gear change that pushes the film into its final act. The moment that you realise this switch up isn't coming is what puts a massive hamper on Free Fire, and what stops it feeling like the explosive thrill ride it should be. The opening act is mostly great. It gets its characters into position quickly and effectively, nicely setting up who they are individually and as part of the gang before all the gunshots arrive. The humour flows quickly too, with solid one liners being dropped every minute and nice little visual flourishes that make you feel as if you're in good hands for the next ninety minutes. Eventually, hell breaks loose and there are bullets flying everywhere. For the most part, the action begins well: it's fast and energetic and lively and thrilling. 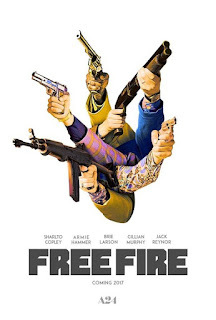 The humour manages to make the transition between dialogue and action smoothly, and it becomes quite refreshing to see how Free Fire is depicting its violence. After being shot, characters are confined to the ground, which forces the action to stick to the one room rather than other parts of the warehouse. Watching movie stars limp around and walk slowly after being shot can be fun, but seeing them crawl through dirt on the floor to reach a pistol is even more exciting, and Ben Wheatley revels in this idea. It feels intense and, somehow, it feels as if the stakes are high. For the first half, Free Fire is a total blast of a film that is loaded with energy, action and originality. But it gets tedious. Boy, does it get tedious. Around the hour-mark, you begin longing for the twist. Don't Breathe introduced the woman in the cellar around its midpoint, 10 Cloverfield Lane wiped out a central character and completely altered its character dynamics, Free Fire does...nothing. The film settles into a groove at the end of act one and struggles to get out of it. Everything starts to feel stale once you realise the direction the film is heading. It's respectable that Wheatley has tried something different here; rather than conform to our expectations, he has defied them. The issue in doing so is that it makes his film an extremely frustrating one to watch, and not one I'm sure I'd be willing to watch again. His cast are mostly great (notably Larson, Reynor and Copley), and his energy is infectious in its early moments, but Free Fire is missing the shake up it desperately needs at the end of its second act. We need the story to change direction, the character dynamics to shuffle about, the stakes to be raised. Not even all of them, just one of these things would suffice, and Free Fire would be a terrific film. As it stands, though, it lacks the push it so seriously needs, something to make us want to watch the same thing for ninety minutes straight. It's an admirable effort, and one best experienced in a packed and rowdy cinema, but it's tough not to feel that Wheatley has missed the mark a bit here. Free Fire benefits from an energetic opening, effective humour and solid performances from its game cast, but its refusal to adapt to its own narrative structure forces it far away from the film it should have been.